ST. GEORGE — The hot-button topic of concealed weapons made news again in June with a federal appeals court ruling allowing significant restrictions on who can obtain concealed-carry permits. However, while this ruling affects the question of how a concealed-carry permit is obtained, a poll conducted in Utah at approximately the same time as the ruling addressed the question of where. According to the poll, a majority of Utahns support current state laws allowing people to carry weapons on college campuses. In Utah, adults who can legally own a handgun or rifle can bring it on to a public college campus, whether they are a student, faculty member, or not. Do you favor or oppose the gun carry laws on Utah college campuses? According to the National Conference of State Legislatures’ May 2016 Guns on Campus Overview, Utah is one of eight states allowing concealed weapons on public postsecondary campuses. The other states are Colorado, Idaho, Kansas, Mississippi, Oregon, Texas and Wisconsin. Eighteen states have banned the practice, and 23 states have left the decision up to the individual public colleges and universities. However, Utah is currently the only state with a statute specifically defining public colleges and universities as public entities, and as such, they don’t have the authority to ban concealed weapons. The 9th Circuit upheld the California law, which defines examples of “good cause” as being stalked or threatened, celebrities who fear for their safety and those who routinely carry large amounts of cash or other valuables. No one claims these rights should be entirely free from governmental restriction. For example, we justifiably prohibit violent felons from owning guns. But to allow a scheme preventing law abiding citizens from protecting themselves outside the home is wrong and unconstitutional. While Utah wasn’t one of the states affected by the 9th Circuit ruling, at the beginning of July, a law went into effect in Nevada expanding the state’s concealed-carry permit reciprocity to include Utah and increasing their total reciprocity from 16 to 26. Utah currently has reciprocity with 37 other states. Was this the best picture you could come up with for the article? Looks like you’re trying to skew the bias just a bit there. Problem #1: That looks like a middle-schooler’s backpack. Yes I see the SUU book, but the first image and impression is of a kids backpack. Photo shopping a SUU logo onto the notebook makes it as ‘adult’ as a NASCAR sticker on a Honda makes the car owner a professional NASCAR driver. Problem #2: If that is how a conceal carry gun is being packed around, then the carrier should not be carrying. It is unsecured and a hazard unless in a holster and not bouncing around in a pack. Problem #3: This pistol is visible and out, therefore NOT a conceal carry. If you didn’t want to write a fair and balanced article, you just didn’t have to write one. “skew the bias” any bias is, by definition, skewed, so your usage is redundant. “conceal carry” it’s concealed carry. “visible and out” could it really be visible if it was not out? redundancy again. If your command of your firearm is as poor as your command of the English language, then we, the public, would be better served by having your permit revoked. Spoken like a true anti-gun liberal; ignoring the facts, and trying to redirect the attention to grammar. “skew the bias” any bias is, by definition, skewed. Well, using your definition of bias, the author, by means of the picture, is attempting to skew the reader to prematurely think the poll is to allow guns into middle school classrooms with kids. Your comment is therefore asinine. “conceal carry” it’s concealed carry.- It is both, depending on the verbiage and tense used. I CONCEAL CARRY on a daily basis. He WILL CONCEAL CARRY today. The law allows us to CONCEAL CARRY in public. I have a permit for CONCEALED CARRY. You have the right to a CONCEALED CARRY permit (although if you have to ask for it, it isn’t really a right). Try using the ‘concealed carry’ form on the first set of statements, and it doesn’t have proper English form. “visible and out” could it really be visible if it was not out? redundancy again.- Again, your simplistic petty mind cannot seem to grasp the difference. ‘VISIBLE’ means you can see it. Open carry means the gun is holstered, but visible. This is perfectly legal for anyone to do, provided it is ‘unloaded’ (see the Utah legal definition of unloaded). Visible, but legal. ‘OUT’, on the other hand, means unholstered or unsecured. Refer again to the picture above. ‘OUT’ is not legal in public, loaded or unloaded. Try walking in front of a police officer with a holstered, VISIBLE pistol on your side, then try walking in front of the same officer with your pistol visible and OUT of the holster (i.e.- in your hand). You will quickly find out there is a difference. The pistol in the picture is VISIBLE (so not concealed) and unsafely OUT (not in a holster, just bouncing around in a backpack with a book). I get it- you thought you would be snarky and try to sound educated. You failed, but at least now you have a better education on what the terms mean. I hope someday you exercise your right to CONCEAL CARRY a CONCEALED CARRY weapon of your choice! Have those Utahns considered the societal risk-reward of allowing concealed weapons on campus or do they just blindly cloak themselves in the 2nd Amendment to justify their personal gun ownership, regardless of the consequences? How can anybody in their right might believe it’s a good thing, or more importantly, a necessary thing, to conceal weapons on campus? There’s been a few school shootings that could be one reason they think it’s good. Have you considered the risk-reward of making sure the only person in the “gun free zone” is the one that came there to kill people? There were 0 in Utah. I don’t remember Utah ever having a mass shooting at a school. The only mass shooting I can remember in Utah was at Trolley Square, and it was stopped by an armed citizen. Yes, he happened to be an off-duty police officer, but he stopped the shooting because he was an armed citizen, not because he was a police officer. The on-duty police officers didn’t show up until it was all over with (which is very frequently the case). Remember, “When seconds count, the police are only minutes away”. I fully and vigorously support as many people as possible being armed in Utah, as long as it is responsibly. We’ve always had a high gun per capita ratio, and have never had a runaway gun problem in Utah. Do you know why? Because it isn’t about guns, it’s about people. This crisis isn’t being caused by guns, it’s being caused by culture (inner city culture, thug culture, and the culture of radical islam). And it’s being enabled by liberal culture (ignore the facts and keep beating the drums of the agenda). Maybe you can ask the victims that have been shot in these ‘gun-free zones’ if they’d like to have had the opportunity to defend themselves…. Lafayette Grand Theatre: On July 23 John Russell Houser allegedly opened fire with a .40 caliber pistol, killing 2 people –and injuring 9 others in a gun free zone. Chattanooga: On July 16 Mohammad Youssef Abdulazeez opened fire on two military locations–one a recruitment office, the second a Navy Operational Support Center. The attack killed 5 people in a gun free zone. Fort Hood (2014): On April 2, 2014, Army Spc. Ivan Lopez opened fired on fellow soldiers, killing 3, and wounded 16 others in a gun free zone. DC Navy Yard: On September 16, 2013, Aaron Alexis opened fire with a shotgun, killing 12 people in a gun free zone. Eight others were wounded. Sandy Hook Elementary: On December 14, 2012, Adam Lanza opened fire with a rifle in a gun free zone, killing 20 students and 6 unarmed staff. Aurora Movie Theater: James Holmes opened fire with a rifle in a gun free zone at a movie theater in Aurora, Colorado. He killed 12 innocents. 70 additional persons were listed as injured. All killed in a gun free zone that was only “gun free” for law-abiding citizens. Fort Hood (2009): On November 5, 2009, Nidal Hasan opened fire on his fellow soldiers in a gun free zone at Fort Hood, killing 13. Hasan shot and injured at least 30 others in the gun free zone. Seung-Hui Cho (Virginia Tech): He killed 32 and wounded 17 others in the gun free zone. “The Stanford University Libraries’ dataset of mass shootings (“Stanford Mass Shootings in America, courtesy of the Stanford Geospatial Center and Stanford Libraries”) was analyzed for mass shootings over the past 14 years. The definition of a mass shooting for the Stanford database is three or more shooting victims injured or killed not including the shooter. Shootings that are gang or drug related are not included. The dataset includes 153 incidents going back to the beginning of 2002. Research done at the Heritage Foundation found that fifty-four of the 153 incidents (35 percent) involved a shooter targeting people at random who were not relatives or adversaries of the attempted murderer’s. 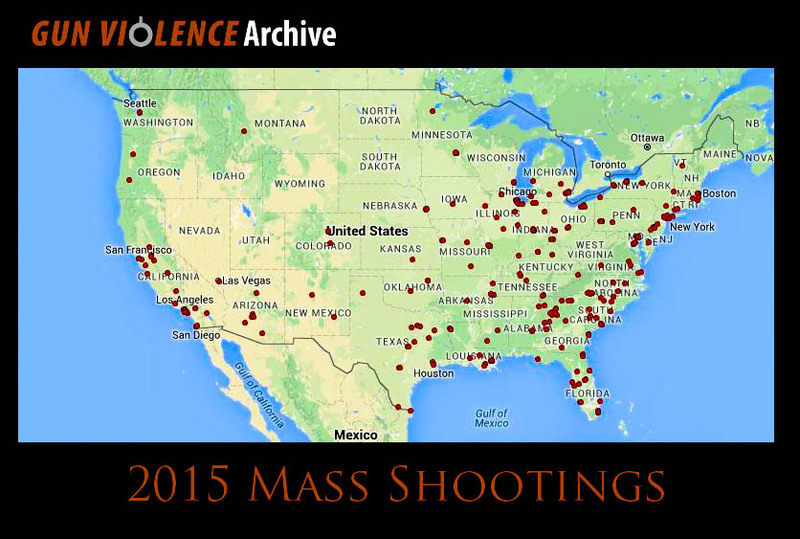 Of the 54 incidents that fit these criteria, the shooter chose locations where guns were banned 37 times (69 percent). Alternatively, the shooting occurred where guns were legally allowed only 17 times (31 percent). Of the 17 shootings that occurred where citizens could legally carry firearms, 5 (29 percent) were ended when the gunman was stopped or slowed by a gun permit holder’s intervention. Gun free zones are not gun free for criminals. So you see, the societal risk-reward of allowing conceal carry on campus would be to INCREASE personal and public safety. Great info! Thank you for your contribution. Very interesting statistics, indeed. I hope that one of our SMEs (subject matter experts) on Utah gun laws can clarify something about which I’m unclear. The article cites a poll that asked a question containing this phrase: “In Utah, adults who can legally own a rifle or handgun can bring it on a public college campus…”. Obviously this is a huge difference. Applicants for a concealed carry permit must attend a class on gun safety & laws, as well as pass an extensive background check with many disqualifiers. Was the poll question incorrect, or am I misinterpreting the carry law? Utah is an open carry state. So any adult can carry an UNLOADED firearm in plain view, anywhere it’s legal (including schools). Unloaded means a round is not in the firing position AND at least two mechanical actions have to take place before the firearm is fired. Concealed carry permit holders can do the same, but with a loaded firearm. Thank you for responding Brian. My follow-up obviously was sent before your response posted. You and RealMcCoy provided insightful comments. It was comical that as those disagreeing focused on nitpicking grammar, rather than the substance of the arguments. After examining the the utahpolicy.com website, the poll question was factually incorrect. In the verbiage below the poll results, it explains that only concealed handgun permit holders (not everyone) are allowed to bring their weapons on campus. Very poor attention to detail by the pollster in constructing the poll question. It seems that both the poll questions and the article were written by people like the commenter Chris above; people that do not- or choose not to- understand the fine details of dressing like rambo and walking into a middle school, versus discreetly having a CONCEALED CARRY on your body, in a safe and responsible manner, at a college campus full of adults.